Throughout this month, we’ve asked developers around the world to sign up for Be Mindful in May, a one-month meditation campaign that challenges participants to learn about meditation while simultaneously dedicating their efforts to a global cause: providing clean water to people in developing nations. So far the campaign has raised over $75,000 AUD for this important issue, and the Google Developers team has raised $1700 AUD. The money raised through Be Mindful in May will go to charity:water, an organization that’s helping to bring clean, safe drinking water to the nearly 1 billion people who struggle every day without it. 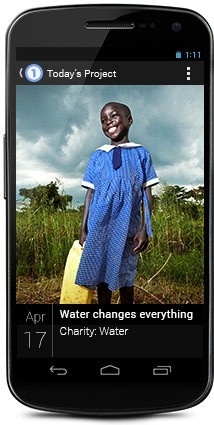 To help support nonprofits like charity:water, last month we released the One Today mobile app as a limited pilot in the US. One Today introduces users to new projects each day across a wide range of issues, and enables users to donate $1 to the cause. One Today users can amplify their impact by matching their friends’ donations. If you’re in the US, you can join the One Today pilot by requesting an invite. From making a difference in the world to wacky science, studies suggest that dogs yawn in response to humans. And not only that: further research shows that sometimes, dogs yawn in empathy with humans yawning, while other times, dogs yawn because they’re feeling stress, as when they’re listening to their owners. Much more research involving yawning dogs and people will be necessary to fully sort this out. Finally, if you’re previewing the new Google Maps, you might be interested in this cool Easter egg. And if you’re not on the new Google Maps, you can request an invite. It’s really nice, and might even keep you from yawning. Fridaygrams provide a chance for us to focus on fun and interesting stuff that’s not necessarily related to writing code. Sometimes we even get to feature inspiring content, like this week’s information about helping nonprofits. Maya Amoils is a member of the Google.org marketing team where she works on a number of the team's charitable giving initiatives. Maya holds a BA in Science Technology & Society from Stanford University. Outside of work, you can find her biking around the Bay Area or making playlists on Spotify. Scott Knaster is the editor of Google Developers Blog. He likes family time, technology, and watching the San Francisco Giants win baseball games. On Fridaygram we love to celebrate amazing new Street View images. 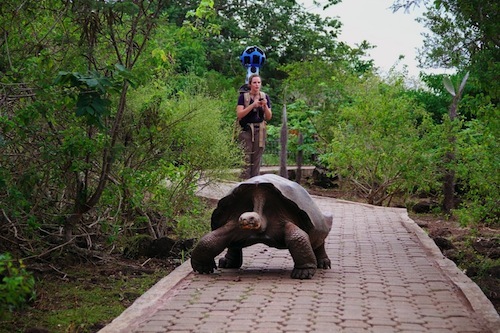 This week we announced new panoramic views of the Galapagos Islands, collected with with the Street View Trekker in partnership with the Charles Darwin Foundation (CDF) and the Galapagos National Parks Directorate (GNPD). These images will go live on Google Maps later this year, but you can see a preview below and on the Official Google Blog. The Maps team’s 10-day adventure included lots of interaction with local wildlife, but didn’t take place entirely on land. The team worked with the Catlin Seaview Survey to collect underwater ocean images too. And in addition to being beautiful and fun, these pictures have a practical use: they act as a visual record that can be compared to changes observed in the future. Speaking of wildlife, do you have a smart dog? And does your smart dog know 1000+ words, plus have a basic comprehension of grammar? Meet Chaser, a 9-year-old border collie who has been taught to recognize the names of 1000 objects, as well as the meaning of some verbs and prepositions. In tests, Chaser correctly (most of the time) responded to commands such as “take ball to Frisbee”, or even “to Frisbee take ball”. If only our friends and family were that helpful. 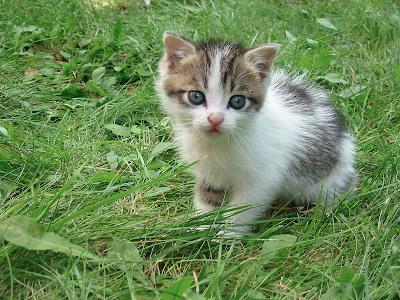 Finally, there’s some typically mind-blowing news from the world of quantum physics. We already know that quantum particles can share a connection called entanglement, which allows one particle to reflect the state of another no matter how far apart they are. Now an experimental discovery shows that particles can be entangled even if they don’t exist at the same time. We agree with experimenter Jeremy O'Brien of the University of Bristol, who said “It’s really cool”. Fridaygram is about randomly cool and nerdy stories that we hope will amuse you and possibly inspire your weekend. Around here we’re still feeling the Google I/O afterglow, so we’re going to recommend you spend some time this weekend watching some of the many session videos from I/O. If that’s not your thing, maybe you’d like this brief but inspiring video that kicked off the conference. Google I/O 2013 has just ended, and even more than usual, this one was for you, our developers. This year, we focused on providing new tools and services you’ve been asking for, plus a few surprises that we hope inspired and delighted you. Android gets its own IDE: Android Studio, based on IntelliJ IDEA Community Edition. 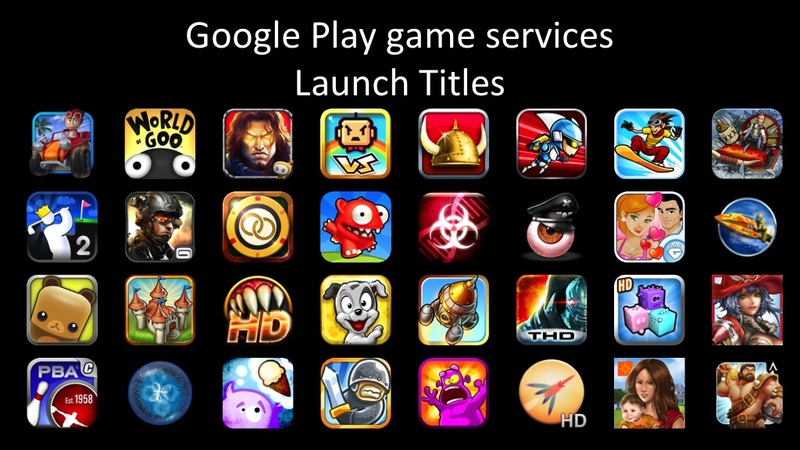 Google Play Services 3.1 brings game services, location APIs, Google Cloud Messaging enhancements, and Cross-Platform Single Sign On. 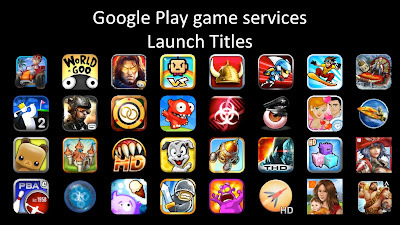 An updated Google Play Developer Console adds a very cool app translation service, revenue graphs, alpha and beta testing and staged rollouts, optimization tips, and referral tracking. We showed off a whole new look for Google Maps and Maps APIs, featuring new base map tiles, a new default marker, a new info window style, and a style refresh for controls. In Google Cloud Platform news, we announced that Google Compute Engine is now open to everyone and has sub-hour billing, we’ve added a PHP runtime to App Engine, and we introduced Google Cloud Datastore. We showed new Google Wallet features: the Instant Buy Android API, which makes buying in native Android apps fast and easy, and the Wallet Objects API, which lets you connect your loyalty programs, offers and more to Google Wallet. Although we put developer announcements first this year, we didn’t skimp on the cool stuff for everyone: we refreshed the look of the Google+ stream, launched expanded Hangouts, totally revamped Google+ photos, announced Google Play Music All Access, showed off conversational search, and demoed some amazing Chrome Experiments. Of course, Google I/O isn’t just about announcements. It’s our chance to share what’s new with you in those highly technical, in-depth sessions and for you to meet and interact with our engineers and other Googlers, in person and via the Internet. Once again this year, all sessions were recorded and are being posted to Google Developers Live (GDL) for you to peruse whenever it’s convenient for you. 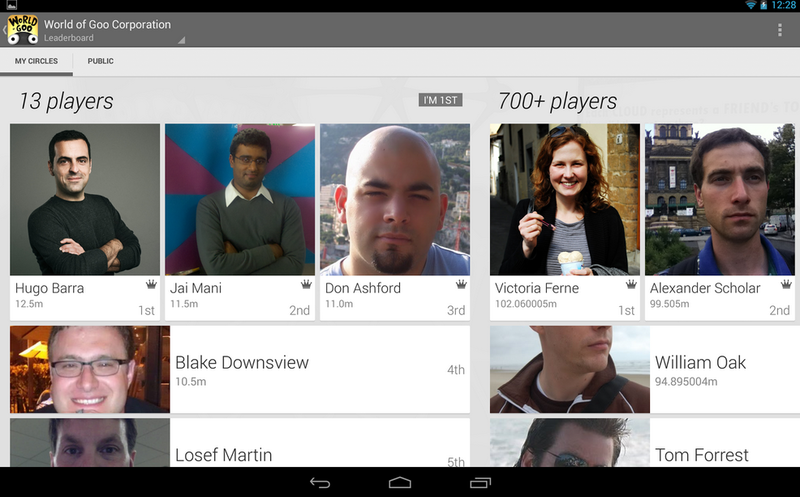 We love putting on Google I/O, and that’s one reason we created GDL. With GDL, we don’t have to pack all our presentations into a 3-day conference. You’ll find new programs on GDL every week, from the same people who present at Google I/O. Just like during I/O, you can watch live or see recordings whenever you want. You can subscribe to the Google Developers channel on YouTube to be notified when new programs are posted. Whether you came to San Francisco, participated in I/O Extended, or watched our live streams, we thank you for your attention and dedication. Here’s to Google I/O 2014! Andrew Jessup is a Product Manager at Google, working on languages and runtimes for Google App Engine. At Google I/O, we announced Google Cloud Datastore, a fully managed solution for storing non-relational data. Based on the popular Google App Engine High Replication Datastore (HRD), Cloud Datastore provides a schemaless, non-relational datastore with the same accessibility of Google Cloud Storage and Google Cloud SQL. 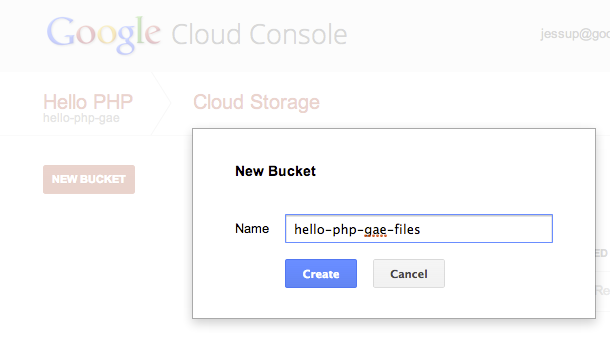 To get started, head over to the Google Cloud Console and create a new project. After supplying a few pieces of information you will have a Cloud Project that has the Cloud Datastore enabled by default. For this post we’ll use the project ID cloud-demo. Besides the output that we see in console window, we’re also able to monitor our interactions within the Cloud Console. 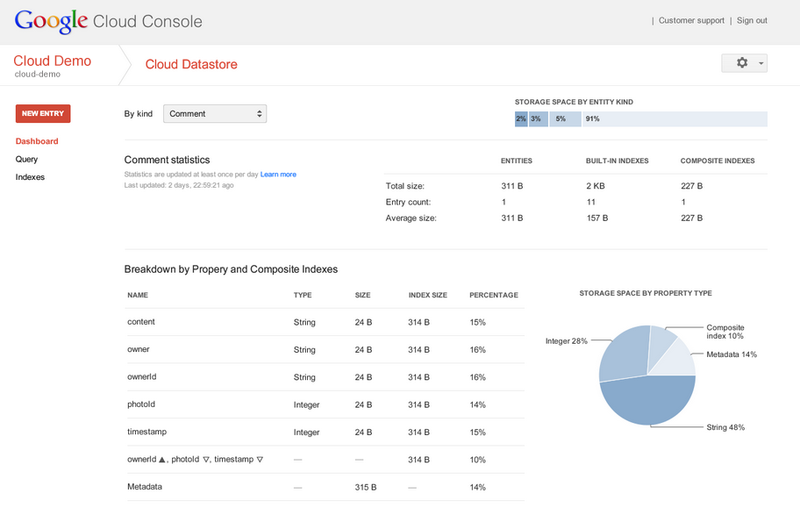 By navigating back to Cloud Console, selecting our cloud-datastore-demo project, and then selecting the Cloud Datastore we’re taken to our instance’s dashboard page that includes number of entities, properties, and property types, as well as index management, ad-hoc query support and breakdown of stored data. And that’s really just the beginning. To fully harness the features and functionality that the Cloud Datastore offers, be sure to check out the larger Getting Started Guide and the Cloud Datastore documentation. Cloud Datastore is the latest addition to the Cloud Platform storage family, joining Cloud Storage for storing blob data, Cloud SQL for storing relational data, and Persistent Disk for storing block data. All fully managed so that you can focus on creating amazing solutions and leave the rest to us. And while this is a Preview Release, the team is off to a great start. As we move the service towards General Availability we’re looking forward to improving JSON support, more deeply integrating with the Cloud Console, streamlining our billing and driving every bit of performance that we can out of the API and underlying service. Chris Ramsdale has worked extensively in the mobile space, starting as a Software Engineer at Motorola in 1997, and then joining local start ups as a Tech Lead and Product Manager. Chris is currently a Product Manager for Google Cloud Platform focused on developer tools and platform services like Google App Engine and Google Cloud Datastore. Advanced Routing Capabilities: Compute Engine now supports software-defined routing capabilities based on our broad SDN innovation. These capabilities are designed to handle your advanced network routing needs like configuring instances to function as gateways, configuring VPN servers and building applications that span your local network and Google’s cloud. Navneet Joneja loves being at the forefront of the next generation of simple and reliable software infrastructure, the foundation on which next-generation technology is being built. When not working, he can usually be found dreaming up new ways to entertain his intensely curious three-year-old. Watch the video of the Cloud track kickoff. Urs Hölzle is Senior Vice President of Technical Infrastructure and Google Fellow. 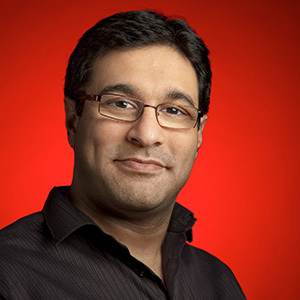 As one of Google's first ten employees and its first VP of Engineering, he has shaped much of Google's development processes and infrastructure. After last year's Google I/O conference, the Google Cloud Platform Developer Relations team started to think about how attendees experienced the event. We wanted to help attendees gain more insight about the conference space and the environment itself. Which developer Sandboxes were the busiest? Which were the loudest locations, and which were the best places to take a quick nap? We think about data problems all the time, and this looked like an interesting big data challenge that we could try to solve. So this year, we decided to try to answer our questions with a project that's a bit different, kind of futuristic, and maybe a little crazy. 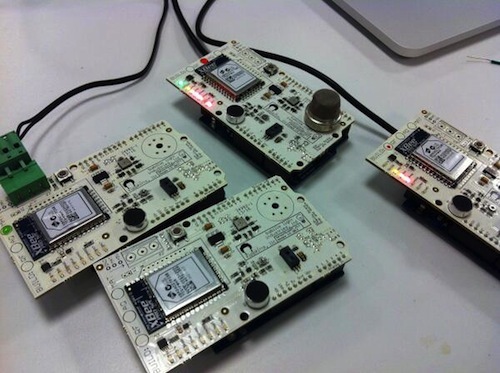 Since we love open source hardware hacking as much as we love to share open source code, we decided to team up with the O'Reilly Data Sensing Lab to deploy hundreds of Arduino-based environmental sensors at Google I/O 2013. Using software built with the Google Cloud Platform, we'll be collecting and visualizing ambient data about the conference, such as temperature, humidity, air quality, in real time! Altogether, the sensors network will provide over 4,000 continuous data streams over a ZigBee mesh network managed by Device Cloud by Etherios. In addition, our motes will be able to detect fluctuations in noise level, and some will be attached to footstep counters, to understand collective movement around the conference floor. Of course, since a key goal of Google I/O is to promote innovation in the open, the project's Cloud Platform code, the Arduino hardware designs, and even the data collected, will be open source and available online after the conference. Google Cloud Platform, which provides the software backend for this project, has a variety of features for building applications that collect and process data from a large number of client devices - without having to spend time managing hardware or infrastructure. 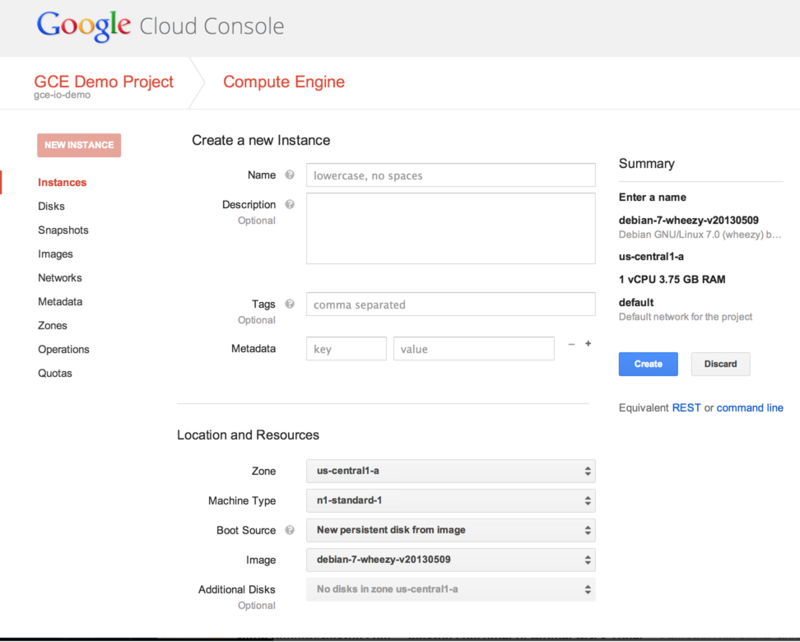 Google App Engine Datastore, along with Cloud Endpoints, provides a scalable front end API for collecting data from devices. Google Compute Engine is used to process and analyse data with software tools you may already be familiar with, such as R and Hadoop. Google BigQuery provides fast aggregate analysis of terabyte datasets. 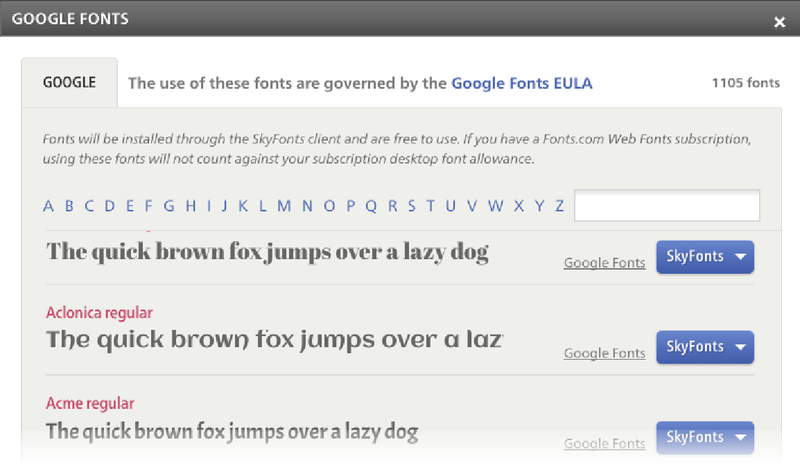 Finally, App Engine's web application framework is able to surface interactive visualizations to users. Networked sensor technology is in the early stages of revolutionizing business logistics, city planning, and consumer products. We are looking forward to sharing the Data Sensing Lab with Google I/O attendees, because we want to show how using open hardware together with the Google Cloud Platform can make this technology accessible to anyone. With the help of the Google Maps DevRel team, we'll be displaying visualizations of interesting trends on several screens around the conference. Members of the Data Sensing Lab will be on hand in the Google I/O Cloud Sandbox to show off prototypes and talk to attendees about open hardware development. Lead software developer Amy Unruh and Kim Cameron from the Cloud Platform Developer Relations team will talk about how we built the software involved in this project in a talk called "Behind the Data Sensing Lab". In case you aren't able to attend Google I/O 2013, this session will be available online after the conference. Learn more about the Google Cloud Platform on our site, and to dive in to building applications, check out our developer documentation. Michael Manoochehri is a Developer Programs Engineer supporting the Google Cloud Platform. He is passionate about making cloud computing and data analysis universally accessible and useful. This January, Google and SyScan announced a secure coding competition open to students from all over the world. While Google’s Summer of Code and Code-in encourage students to contribute to open source projects, Hardcode was a call for students who wanted to showcase their skills both in software development and security. Given the scope of today’s online threats, we think it’s incredibly important to practice secure coding habits early on. Hundreds of students from 25 countries and across five continents signed up to receive information about the competition, and over 100 teams participated. Eduardo Vela Nava is a Tech Lead for Google's WOOPS (Web or Other Product Security) team, helping teams build safer products. We surf the web for a million different reasons – for everything from school research projects to time-killing memes. And when we find something relevant for us, whether that be our most recent pay stub or just an adorably awesome pic, we may want to save it for later reference or to share with friends in the future. 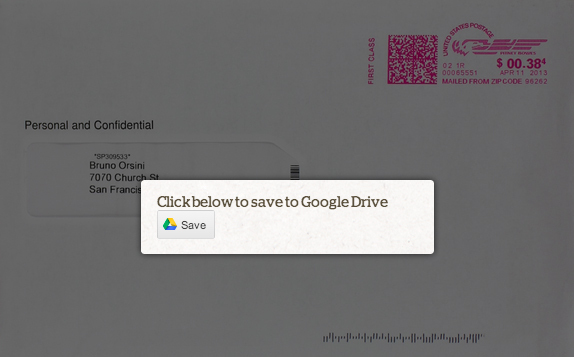 Starting today, Drive users can use the "Save to Drive" button to do exactly that. 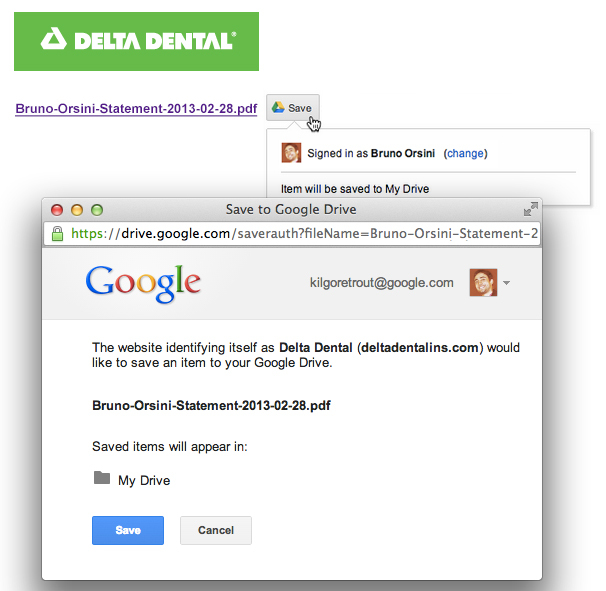 The “Save to Drive” button is an easier way to save files directly from a website. If you have your own website, you can improve the experience for your site visitors by adding the “Save to Drive” button to your page using two easy lines of HTML. 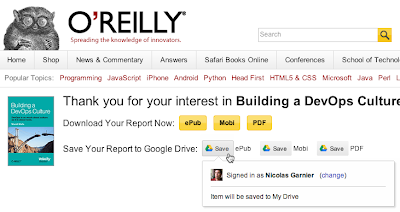 The Save to Drive button works in the context of the user’s browser. This allows your users to save files that could require some form of HTTP authorization – such as a session cookie – without any special customization from you. In most cases, the Save to Drive button should be simple to integrate, plug-and-play! Check out some companies that have already added Save to Drive buttons on their sites: Bigstock, Delta Dental, Fotolia, O'Reilly, Outbox, Ultimate Software, and Zen Payroll. To learn more, have a look at our technical documentation, and if you have questions, don’t hesitate to post on Stack Overflow. At Google I/O 2013, we will share the future of our platforms with you. Developers from all over the world are the key innovators of powerful, breakthrough technologies, and that’s why we challenged ourselves to make the Google I/O experience available to every developer, everywhere. Stream 4 channels of technical content on your computer, tablet, or phone. You’ll feel like you’re right there in the keynote and session rooms, listening to product announcements straight from the source. Live streaming will run on developers.google.com/io from 9 AM PT (16:00 UTC) to 7 PM PT (2:00 UTC) on May 15 and 16. Watch exclusive interviews with the Googlers behind the latest product announcements. This year, GDL will be on site, broadcasting one-on-one product deep dives, executive interviews, and Sandbox walkthroughs from the GDL stage. Get the latest news in real-time. We’ll be posting official announcements during I/O. You’ll be able to see the feed on the Google I/O homepage, in the I/O mobile app (coming soon), and on +Google Developers. Never miss a session. All Google I/O technical sessions will be recorded and posted to GDL and the Google Developers YouTube channel. Subscribe to our YouTube channel for archived session updates. 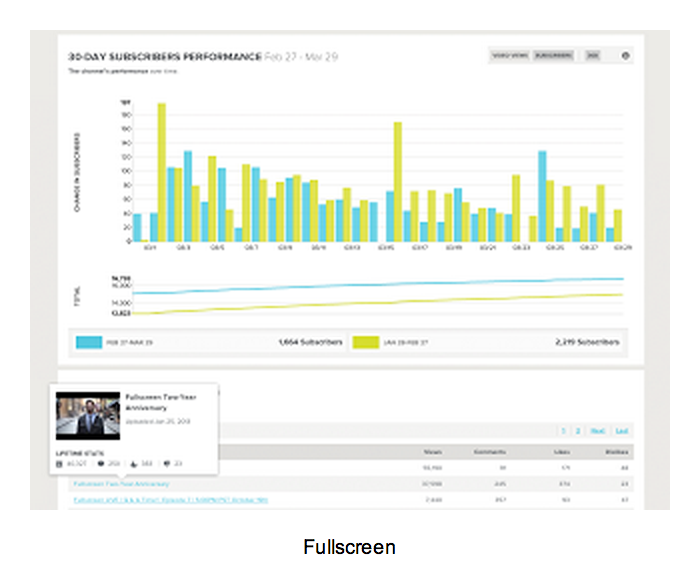 Grab our live blogging gadget to add the keynote live stream to your own site or blog. Customize the gadget with your site or blog name, live blog alongside real-time Google announcements, and share a dynamic Google I/O experience with your readers. Have questions? For more info, check out our live blogging gadget FAQ. Experience Google I/O with your local developer community by hosting or attending an I/O Extended event. If you’re hosting, register here and learn how to hold a totally epic event with our handy Organizer Guide. Otherwise, with over 400 sites in 90+ countries, chances are good that there is an I/O Extended event near you. Find an event now! And before I/O, tune in to Google Developers Live programming to connect with Google engineers, prep for this year’s event, and browse our archived content. For official conference updates, add +Google Developers to your Circles, follow #io13 for big announcements, join the Google I/O community, and keep an eye on the Google I/O site. We know that developers around the world depend on our APIs for their apps, sites and businesses every day. Unfortunately, we experienced an outage of the Google API serving infrastructure yesterday, April 30. This outage impacted most Google APIs, resulting in requests failing with a 500 error code. 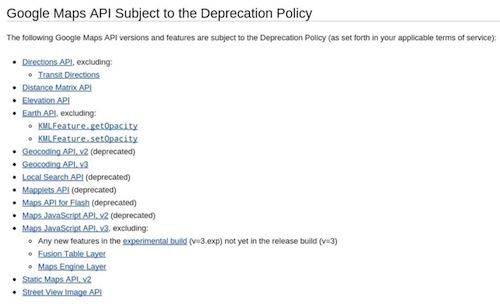 Additionally, users may have experienced missing features or capabilities from some Google services that rely on these APIs. At 6:26 pm Pacific Time, we pushed a config change that inadvertently caused a widespread outage of our API infrastructure. Our normal rollback procedure failed, delaying the rollback until 7:22 pm, at which time APIs started to recover. The outage was completely resolved by 8:00 pm. We are making several changes to help ensure this issue won’t happen again. We’ve identified some key improvements to our release and rollback process that we are implementing immediately. Reliability is a top priority at Google, and we are continuously making improvements to our systems. We apologize to everyone who was affected. Louis Ryan is an engineer on the API platforms team in Mountain View. Louis is passionate about making APIs faster, more consistent, and reliable.